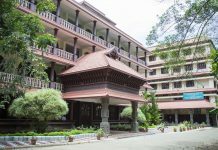 Kozhikode: In its 20th year of establishment IIM Kozhikode successfully wraps up the Summer Placement for their Post Graduate Programme students. This incredible feat was achieved in a record time of 6 days. 119 companies participated for the process this season, recruiting 364 students with an overall increase in the number of offers made per company. 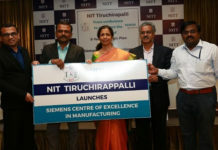 The highlight of the placement season was the participation of esteemed firms like Airtel, Boston Consulting Group, EY, HUL, ITC, JP Morgan Chase, KPMG, Microsoft, Mahindra, Nestle, Godrej, Goldman Sachs, TAS and Vodafone, which marked the ascent of IIM Kozhikode as a preferred destination in the country for various industries. The number of new recruiters formed a major share of45% of the total participating companies. Some of the new recruiters in the campus included AMUL, Britannia, CEB, Credit Suisse, Colgate Palmolive, DE Shaw, Directi, IndiaMART, Kohler, Mytrah, Novartis, Piramal Group, Saint Gobain, Sun Pharma, TAFE among others. The average stipend continued its upward trend, the highest stipend offered being 2.5 lakh. Students were also offered positions in international locations across various sectors. A variety of sundry roles were offered to the students, which is a reflection of the increasing batch diversity with each year. Various niche roles were opted by students in the field of Digital Marketing, Social Media Analytics, Research and Development. The 20th batch was the biggest batch till date and saw the fastest closure of Placement season indicating the increased faith displayed by recruiters in the quality of students. The Sales and Marketing vertical saw the highest number of recruiters with 45% of the batch opting for this sector. The trend continued like every year with a sheer rise compared to last time in this segment with major recruiters being Britannia, Colgate Palmolive, Godrej, HUL, ITC, Kohler, Marico, PepsiCo, Shell and many more. The other top segments based on roles offered were finance (17%), consulting and general management (24%). The finance sector saw a significant increase in participation this year with major firms like Altisource, Axis Bank, Citi Bank, Credit Suisse, DE Shaw, Goldman Sachs, ICICI Bank, JP Morgan Chase, Yes Bank -and among others participating. The Consulting domain witnessed participation from well-known names like Avalon Consulting, Boston Consulting Group, CEB, Cognizant, Ernst & Young, KPMG and Paramount. Previous recruiters re-affirmed their reliance in the eclectic talent of institute by recruiting in double digits, the highest number being 13 in one of the major MNC. An increasing number of students showed their inclination in working with startups which was fulfilled by a rise in the offers made by established startups. Another major highlight of the summer season at IIM K which sets it apart from the other campuses was the opportunity offered by the Kerala government to work on Kerala Development Projects in collaboration with the state officials contributing towards the state welfare.